Collaboration improves accessibility of cybersecurity resources for SMBs. Rocus Networks provides critical incident response support and also sets up a program to protect the organization from future attacks. Rocus Networks, a managed cybersecurity service provider, announced today that is has been named as a recommended business security solution by the Cybercrime Support Network (CSN) and CSN’s FraudSupport.org program. The program partners with industry-leading cybersecurity providers like Rocus Networks to bring tools and services to assist cybercrime victims. “Many small and medium businesses (SMBs) underestimate the threat and potential impact of a cyberattack and are inadequately prepared to deal with it when it happens. We created the FraudSupport.org program to provide resources to online victims, including SMBs, who need to quickly recover from a cybercrime event,” said Kristin Judge, CEO of the Cybercrime Support Network. Cybercrime and online fraud losses for American small businesses is currently estimated at $8 billion annually—and that number is expected to grow. Small businesses have struggled to find resources to help them respond to, recover from, and report a cybercrime. As a pioneering public-private, nonprofit collaboration, FraudSupport.org is bringing together federal, state, and local law enforcement and private sector partners to serve this struggling population. SMBs often lack the budget, time, and expertise to create and manage an in-house cybersecurity program and these challenges are compounded when attempting to quickly build a program in the aftermath of an attack. "Rocus Networks provides critical incident response support and also sets up a program to protect the organization from future attacks. We offer an effective and affordable solution so people can focus on their business, not worry about their cybersecurity,” said Michael Viruso, Chief Strategy Officer at Rocus Networks. 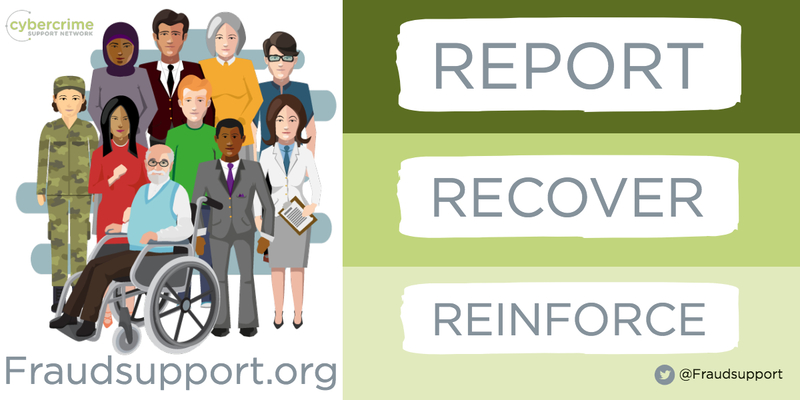 CSN is the first organization to connect victims to resources, increase incident reporting, and address the unmet needs of law enforcement and industry with national databases for reporting, response, and recovery resources. Cybercrime Support Network (CSN) is a public-private, nonprofit collaboration created to be the voice of cybercrime victims. FraudSupport.org is a program created by CSN to provide assistance to both individual and small business cybercrime victims. FraudSupport.org will lead cybercrime victims through the Report, Recover and Reinforce process after an incident occurs. Rocus Networks provides support to businesses in the wake of a cyberattack as part of the FraudSupport.org program.Managed cybersecurity service provider Rocus Networks provides critical incident response and sets up a program for businesses to avoid cyberattacks. Cybersecurity Support Network recommends Rocus Networks as managed cybersecurity service provider as part of their FraudSupport.org program.Fraudsupport.org offers cybersecurity resources for SMBs and recommends Rocus Networks as managed cybersecurity service provider for SMBs.